The new Music Education Blog Carnival was created and is maintained by Dr. Joseph Pisano of MusTech.net. Its function is to promote the great work being done by Music Education Bloggers across the Internet. This carnival seeks to provide a free online avenue that provides useful Music Education materials and information to the Internet community while providing greater exposure for those writing these great blogs and articles. The Music Education Blog Carnival is published during the 1st week of every month and is a recognized member of the communities of blogs as indexed by BlogCarnival.com. 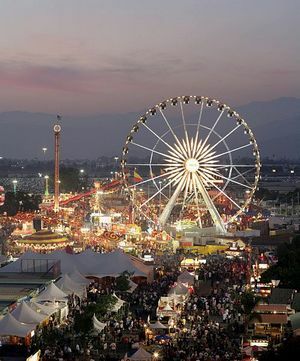 All writings submitted to the Music Education Blog Carnival are examined to ensure that they are valid, interesting, and related to our discussion topic(s). Not every blog entry submitted for consideration is selected or eligible to be in the monthly posted editions. The February 2012 edition of the Music Education Blog Carnival will be hosted by 2012 TI:ME Teacher of the Year, Barbara Freedman, at http://musicedtech.com. Please comment in the section below and/or contact us on this site if you are interested in hosting the Music Education Blog Carnival on your site. It’s a great way to gain exposure to your website or blog! We are in need of hosts for the March, April, and May 2012 Blog Carnivals. Please let us know ASAP! Congratulations to all those that submitted entries and were selected for this month’s Music Education Blog Carnival. I hope that you all enjoy reading these great posts from some of the finest Music Education Bloggers. If you get a chance, please leave a comment on their page(s) to let them know you appreciate their time and efforts! Also, don’t forget to get the word about this on-going carnival and stir-up some excitement about it via Twitter, G+, Facebook, or other Web 2.0 social engines! Lisa Hood presents 10 Kid Rappers Who Put The Big Boys to Shame posted at ZenCollegeLife, saying, “Like every other genre of music over the past couple of decades, rap has been homogenized by the big record companies, which are most concerned about producing music that’ll be accepted by a mass audience.” Editor Note: Interesting compilation with YouTube embeds of the young rappers. Aerial Herzog presents 5 Steps to Learning an Instrument posted at Everything About Classical Music. ~ An interesting thought about the five steps to learning and staying with an instrument. That concludes this edition. Submit your blog article to the next edition of music education blog carnivalusing our carnival submission form. Past posts and future hosts can be found on our blog carnival index page. Please consider submitting an article for next month’s edition!